Blowout Sale! 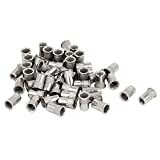 Up to 56% off on Rivets at The Synthesizer. Top brands include Surebonder, & TOOGOO(R). Hurry! Limited time offers. Offers valid only while supplies last. 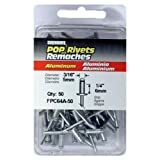 FPC64A Short Aluminum Rivets 3/16" Dia, 1/4" Grip - 50 ct.